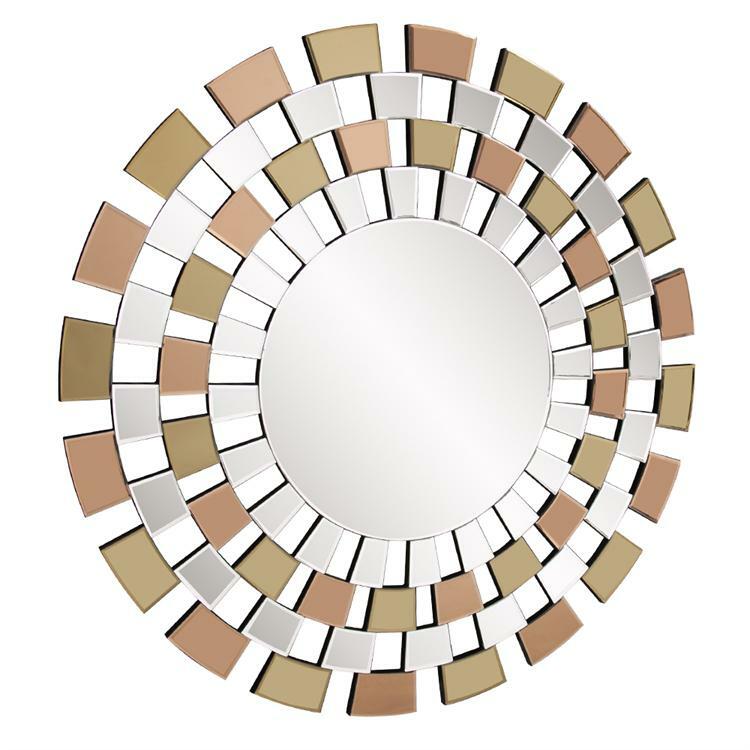 The Austin Mirror is named for the sun like shape and color it adds to your decor. The round frame is composed of alternating mirrored tiles of clear, gold and copper that surround a central round mirror. It is a perfect focal point for any design. The main mirror has a small bevel adding to its style and beauty. Customizable for larger orders.